Rock climber pushing for more. Female rock climber is focused on her next move as she battles her way up a steep cliff in Joshua Tree National Park, California. 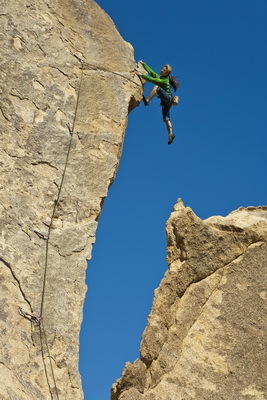 Published inRock climber pushing for more.